As we reported when Tesla officially unveiled the Powerwall 2 last week, the new battery pack is a game changer in home energy storage. The new price point for twice the energy capacity and the integrated inverter are hard to beat specifications for the competition, which had significantly increased since Tesla introduced first generation Powerwall over a year ago. In order to get a better idea of how disruptive the new Powerwall 2 can be, we compared it with some of the other important residential home battery pack solutions. The price points of most solutions have so far made them unavailable to most markets in the US. Like Tesla’s first generation Powerwall, other companies have concentrated their efforts on markets with higher electricity rates, like Australia and Germany. But more recently, some of the biggest players in the field felt confident enough to enter the US market, like LG with the RESU and sonnenBatterie with the Eco Compact. Both companies already had some measure of success with their systems, especially sonnenBatterie in its home country of Germany, but it will be interesting to see how they will fair with Tesla’s new product. When talking about the upcoming new Powerwall during a conference call with analysts in August, people thought that Tesla CEO Elon Musk was just hyping the new product when he said: “I think it’s going to be really exciting when people see it. That’s why I expect exponential growth from there. I think it’s really going to go ballistic,” but with the specs above, it looks like he might have been right. It will be very difficult for anyone to justify buying anything else than the Powerwall when for the same price or less, you can get at least twice the energy capacity. Ultimately, the overall value is found in the cost per kWh delivered, which is determined by how long the battery pack will last. That’s something that remains to be tested for each option, but considering Tesla offers a 10-year warranty with “unlimited cycles”, it looks like they are pretty confident on the Powerwall’s durability. 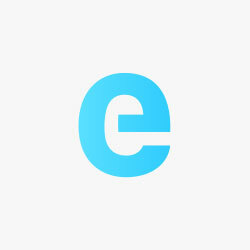 Regardless of your application, the higher energy capacity is welcomed. If you simply want to use it for backup power, you will be able to power your home for longer periods of time in extended power outages or use more electric appliances during those outages. Powerwall 2 can run the main appliances of an average 4 bedroom home for a full day, supplanting the need for a generator for many, even if they don’t have solar panels to refill the battery during the day. If you are using it with a solar installation or to offset peak power demand, you will be able to store more cheap energy and use it later when the sun doesn’t shine or when electricity rates are higher in your region. And what is particularly interesting is that it’s not like Tesla is just the first company unveiling the latest generation of their product and LG and sonnenBatterie will soon update their offering too. Actually, both LG Chem’s RESU and sonnenBatterie’s eco compact have either received an upgrade or been unveiled in the past few months. It goes to show that Tesla could very well be building a significant lead here. All 3 products are expected to enter the US market almost simultaneously in Q4 2017. Tesla’s Powerwall will also be available in Tesla’s other markets and LG and sonnenBatterie products are already available in several other countries. 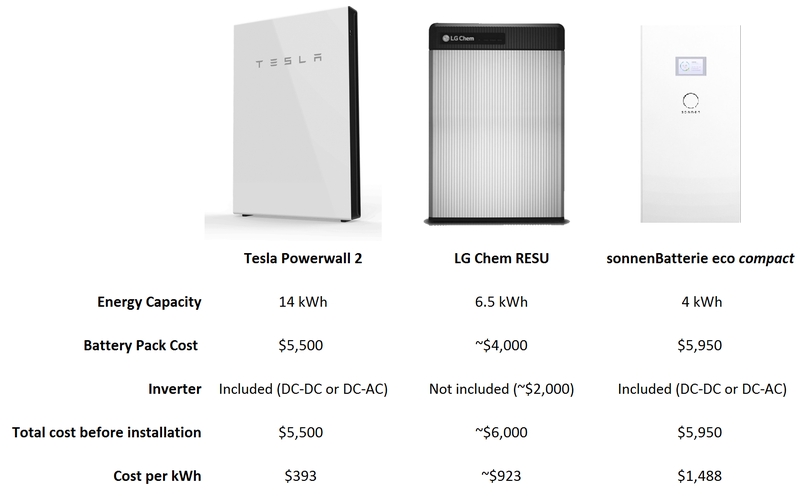 Tesla is currently taking orders for the Powerwall on its website. The device is always at its most useful when combined with solar. We suggest to get quotes from more than one installer to make sure you get the best energy solution for your place since prices are highly dependent on your market (electricity cost, gov incentives, etc.) and your property. UnderstandSolar is a great free service to link you to top-rated solar installers in your region for personalized solar estimates for free.